Born the youngest of 15 children in the highlands of Central America, Grandmother Flordemayo, was found at an early age, like others in her family, to have the gift of sight. At the age of four, she began her training in the art of curanderismo, which had been handed down from mother to daughter for many generations. Flordemayo's mother was a midwife and healer and taught her daughters the use of herbs, women's medicine, and how women are to honour and care for the Earth. Grandmother Flordemayo now lives in New Mexico. She is a frequent presenter at international conferences. Since 1999, she has been part of the Wisdom of the Grandmother's Foundation. She is the recipient of the Martin de La Cruz Award for Alternative Healing, a prestigious honour given by the International Congress of Traditional Medicine. 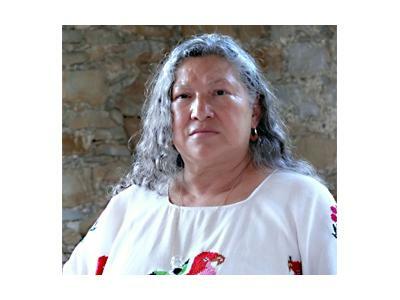 Flordemayo is also a founding director of the Institute for Natural and Traditional Knowledge.